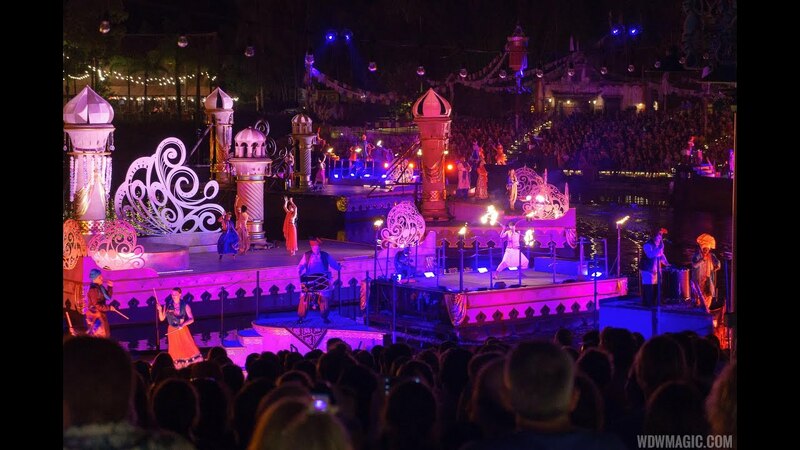 May 21, 2016 in "The Jungle Book: Alive With Magic"
The Jungle Book: Alive with Magic will begin May 28 2016 at Disney's Animal Kingdom with two shows per night. The first will be at 9pm, and the second at 10:30pm. The park will be open until 11pm. FastPass+ guests will be seated in the theater on the Asia side, while standby and dining package guests will be seated on the DinoLand side theater. Guests with strollers seated on the Asia side will park near to the gibbon exhibit, and guests on the DinoLand side with strollers will park in the Finding Nemo stroller parking area.